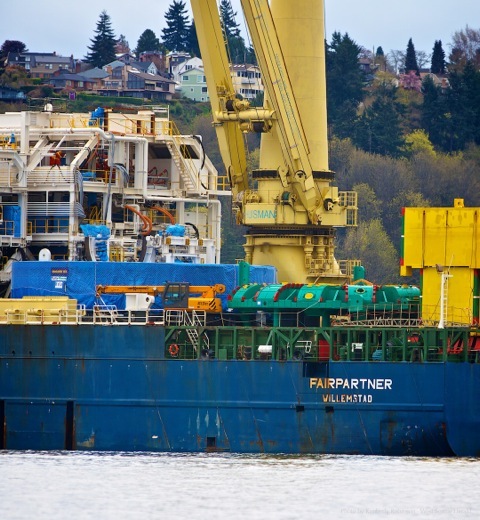 Bertha is now docked at Pier 46 to start the unload process for the world's largest boring machine. 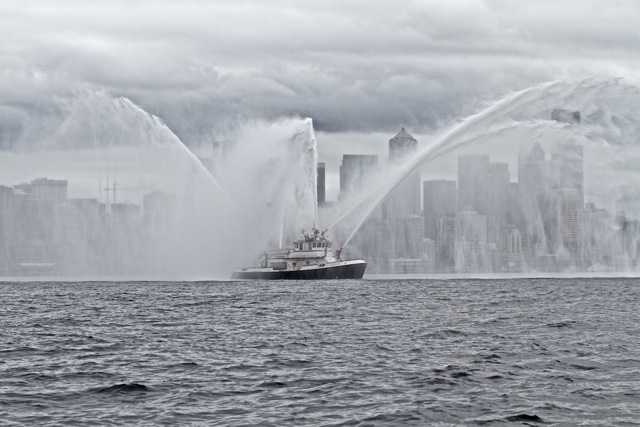 Bertha has made it into Elliot Bay and West Seattle Herald photographer David Rosen hitched a boat ride with the fine folks at Mountain to Sound Outfitters for a good view. His photos have been added as slideshow. Today’s the day. Nicknamed Bertha after Seattle Mayor Bertha Knight Landes, the massive tunnel boring machine that will dig the SR99 tunnel along Seattle’s waterfront is coming to the end of her 5,000 mile from Japan. 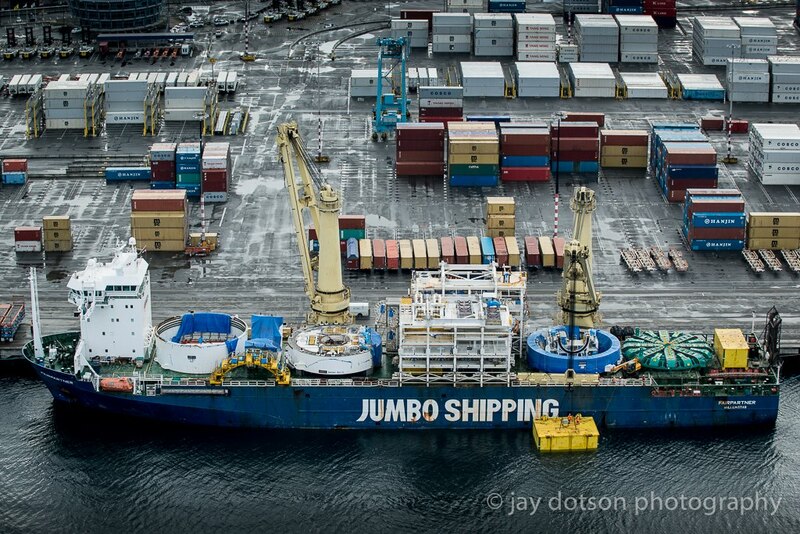 The machine will arrive in pieces at Port of Seattle’s Terminal 46 and is expected to land around midday. The Washington Dept. of Transportation has a map of viewing locations for those interested in seeing the spectacle first hand (link at the top of the story). 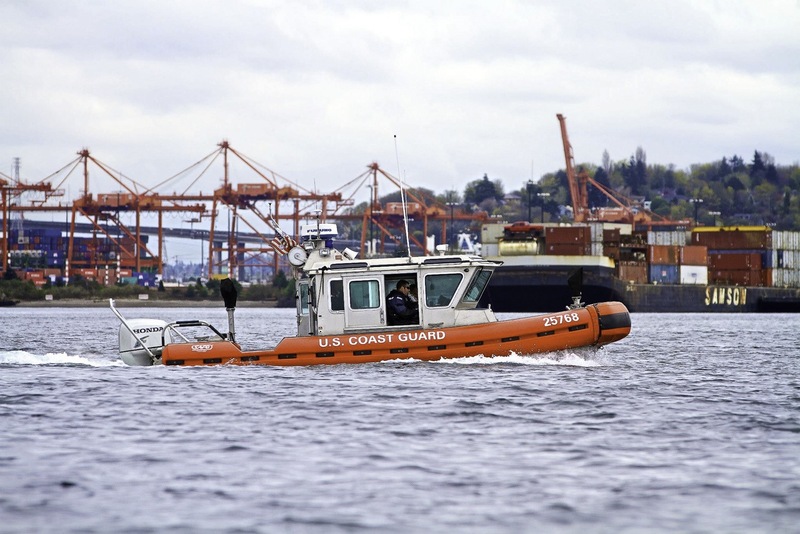 From West Seattle, WSDOT recommends the Water Taxi, Jack Block Park and Seacrest Park. You can also follow her arrival on a live webcam, linked from here and follow Bertha’s journey closely on Twitter, found here: @BerthaDigsSR99. Once Bertha’s 41 pieces are reassembled in a launch pit along Seattle’s downtown waterfront, she’ll be five stories long, 57.5 feet in diameter, and weigh around 6700 tons. According to WSDOT, the launch pit for Bertha to start tunneling will be ready by the end of April and it will take about two months beyond that to reassemble and test her. Once ready, Bertha will begin the core work of a $2 billion project to replace the Alaska Way Viaduct with a tunnel under the waterfront. Going underground, according to WSDOT, will be a safer alternative to the viaduct in the event of an earthquake, and also opens up prime real estate for business and city infrastructure along the Sound. More information from the Herald found here and here. 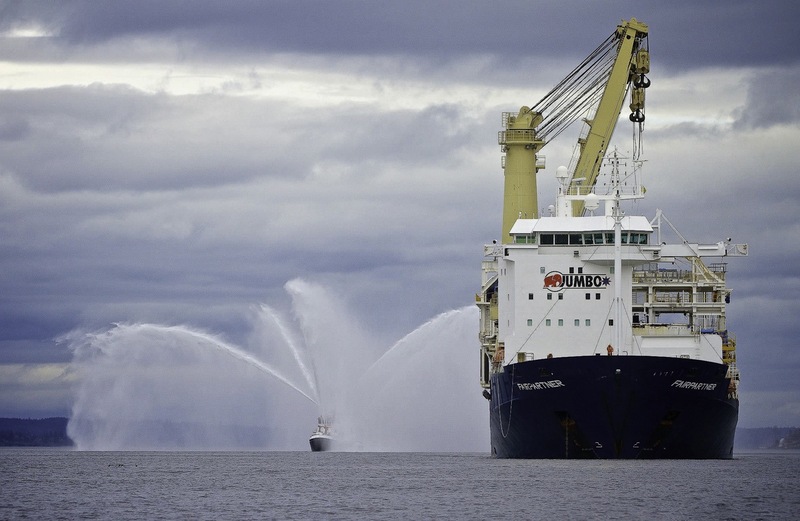 West Seattle Herald photographer David Rosen will be on the water to capture Bertha's arrival and we will update with photos throughout the day.